Although this week officially ushers in spring, we’ve experienced spring-like weather for weeks here in South Carolina. Our climate often mirrors the phrase, “if you don’t like the weather, wait five minutes,” because frequently spring temperatures span a 50 degree range within a few hours. But there is one thing I’m reminded of every year: although it’s spring, March is still a brutal month, with biting winds, frigid temperatures, and the threat of severe pop-up thunderstorms despite the appearance of new vegetation, milder overall temperatures, and frequent bright blue skies. 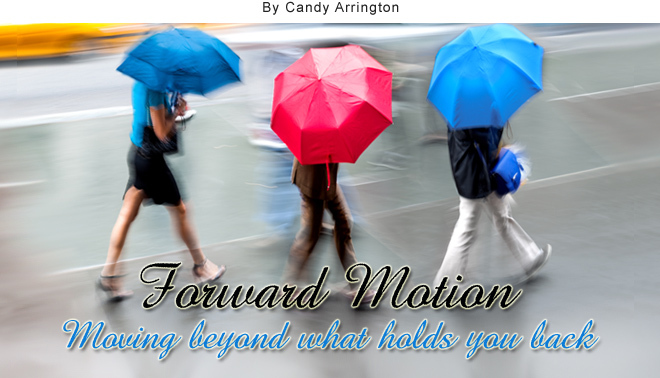 Perhaps you are in a March season of life, a time when you are buffeted by chilly winds and discouraged by recurring overcast skies that herald a storm in some area of your life. While the bright days abound, sometimes it’s not enough to encourage you toward forward motion and new growth. Pruning – If ever a concept seemed counterintuitive, it’s pruning. Why would you drastically cut something to encourage growth? When a plant is pruned while it is dormant, it produces a burst of new growth in the spring. Trees that are properly pruned have a stronger branch structure and less chance of whole-tree failure. Pruners need to know what they are doing, what to cut and what to leave, and they have to possess the ability to look beyond what is before them and see the potential of what the next season will bring. Pruning in our own lives is a painful, but necessary process. It requires cutting out and letting go of things in our lives that sap us of strength in other areas. Minds and hearts are usually the main areas that are in need of a good pruning—ending thought scenarios, eliminating toxic words and memories, and slicing through jealousy, dormant anger, and a desire for revenge. Pruning, like most other endeavors of self-improvement, requires honest admission of weak, unproductive areas and a desire to grow and move beyond current situations and attitudes. Planting – While some plants root easily and grow in just about any location or soil, others need more shade or light, drainage or water to thrive. Each of us is uniquely designed. Some require more encouragement, mentoring, self-discipline or strengthening than others. While some can “bloom where you’re planted” without much struggle, others need tending. You may be the one designated to help another along, to nourish and support toward full potential. Potting – Because I’m not a real gardener, I like to plant a pot garden on my deck. I’ve learned when a plant outgrows its pot, it usually stops blooming, looks unhealthy, or a portion of it begins to die. Potted plants need to be routinely repotted in fresh soil to allow roots to spread and achieve the best growth. We, too, need to move on to fresher, bigger, and better. It’s easy to become bound by negativism and self-pity, and develop a critical spirit toward everyone and everything. And the current tone of public opinion only encourages that mindset. But seeing the worst in every situation and framing everything in suspicious thought is like binding you heart and mind. Break free of those restrictive attitudes by rooting yourself in the Word, drawing nourishment and strength from age-old truths and proven promises. New, abundant growth is possible even in a March season of life.